The Community Ventures Program (CVP) is a zero-interest loan fund for housing and economic development projects. CVP loans pay early predevelopment costs, leverage other financing, and get projects off the ground, helping to create and preserve affordable housing and living-wage jobs across Chicago. 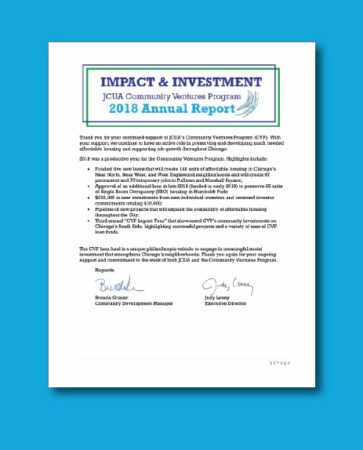 Read the 2018 CVP Annual Report, which includes details on repaid, current and potential loans. Provided over $5.4 million in no-interest loans which have leveraged hundreds of millions of dollars of public and private funding for construction and permanent financing. Created and preserved nearly 4,000 units of affordable housing including homeless shelters, SROs, rental units, co-ops, senior housing, and single family homes. Financed initiatives that have or will create over 1,000 living wage-paying jobs in Chicago. Invested in diverse communities throughout Chicagoland including Albany Park, Austin, Bronzeville, Rogers Park, Uptown, Old Town, Near West, Humboldt Park, North Lawndale, East Garfield Park, West Humboldt Park, Austin, Pilsen, Little Village, Bronzeville, Woodlawn, Englewood, Pullman, and Robbins. Click here for a complete description of CVP funded projects. Gotham Greens Expansion – CVP provided a $100,000 loan to Chicago Neighborhood Initiatives (CNI) to cover predevelopment costs for the construction of a 100,000 sq. ft. greenhouse facility on a long vacant property in Pullman. 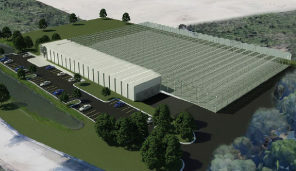 The facility will be owned and operated by Gotham Greens, a leading regional producer of vegetables and herbs. They currently operate a 75,000 sq. ft. rooftop greenhouse also in the Pullman neighborhood. This second facility will create 60 permanent jobs, and Gotham Greens has committed to hiring from the far South Side, partnering with local organizations for job training. Humboldt Park Residence (HPR) – CVP provided a $100,000 loan to Latin United Community Housing Association (LUCHA) for the rehabilitation of Humboldt Park Residence (HPR), an existing 68-unit single-room occupancy (SRO) development on Chicago’s West Side. As the City of Chicago is experiencing the loss of many SRO buildings, HPR helps fill a critical need for affordable housing in the neighborhood. 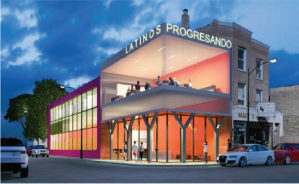 Latinos Progresando (LP) – CVP provided a $100,000 loan to LP, a 20-year old community organization, to expand its services to the community through high-quality, low-cost immigration legal services, technical assistance to small businesses in the area, and mental health and wellness services. LP currently serves approximately 400 immigration clients each month, many of whom are undocumented and ineligible for funding from traditional sources. Lincoln Park Interim Supportive Housing – CVP provided a $100,000 loan to Lincoln Park Community Services (LPCS) to develop 48 units of Interim Supportive Housing (ISH) in Chicago’s Old Town community. 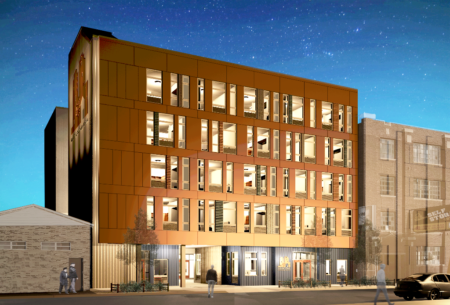 The project is part of a 68-unit development that will include an additional 20 units of permanent supportive housing and on-site supportive services on the same campus. LPCS is one of the most successful programs in the City, noted for returning homeless persons to stability and employment. 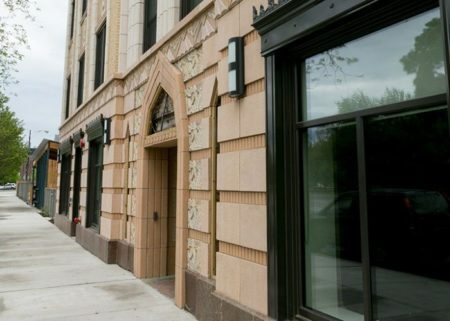 Ogden Apartments – CVP provided a $100,000 loan to Interfaith Housing Development Corporation (IHDC) to cover predevelopment costs for Ogden Park Apartments in West Englewood. IHDC, in partnership with Trilogy Inc., a nonprofit behavioral health care organization serving persons with special needs, will serve two populations in need of permanent supportive housing. 19 of the units will be targeted to homeless individuals with a chronic disability. The remaining 6 units will be targeted to people from the State Referral Network (SRN). The SRN connects persons with disabilities and those experiencing homelessness or at risk of homelessness to affordable supportive housing options around the state. Roosevelt Road Veterans Project – CVP provided a $100,000 loan to A Safe Haven to cover a portion of the predevelopment costs for this 90-unit facility for veterans experiencing homelessness and veterans with disabilities. All units will have project-based subsidy attached which will make all of them affordable to very-low income tenants and will limit rents to 30% of an individual’s monthly income. The project will follow the permanent supportive housing model and provide on-site supportive services. 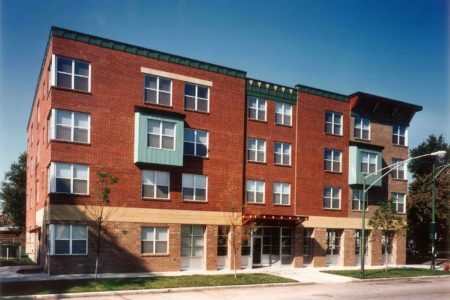 Warren Apartments – CVP provided a $100,000 loan to Heartland Housing (the housing arm of Heartland Alliance) to enable its development of Warren Apartments, a 75 unit mixed-income development. Warren Apartments will complement the 89 units of supportive housing at Heartland’s award-winning neighboring Harvest Commons apartments (renovated in 2013), and address the need for affordable workforce housing in the rapidly gentrifying Near West Side and West Loop neighborhoods.